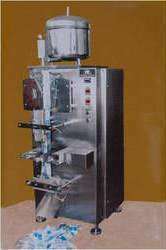 Our product range includes a wide range of water pouch packing plant. The comprehensive structure of Water¿¿Pouch Packing Plant helps to speed up the process. It is automated and easy to operate. It ensures that every pouch has equal volume and a perfect seal. Looking for Water Pouch Making Machine ?